You are at:Home»Lex Pedia»Lex Articles»Ombudsman System: A Battle Won! Ombudsman is derived from the Swedish word meaning ‘grievance person’ or ‘representative or agent of the people’. Ombudsman is referred in oxford dictionary as the ‘people’s defender’. An ombudsman is appointed to safeguard the citizens against abuse or misuse of administrative power by executive. She/he is charged to safeguard citizens against abuse or misuse of administrative power by the executive. Ombudsman’s primary function is to investigate the complaint made to him/her against maladministration or to resolve any such compliant made by an aggrieved person against any hardship caused due to any authority. Any complaint made to the Ombudsman is usually free of charge. Sweden outranked other nations in adoption of Ombudsman system in 1809. Later in 1967 England adopted the same and this system was later followed by Norway, Denmark, and Finland. Ombudsman system has worked satisfactorily in England and New Zealand. The post of ombudsman had been patronized by most Governments and by some inter-Governmental organizations such as the European Union by the end of the 20th century. In some jurisdiction Ombudsman is often referred as ‘Parliamentary commissioner’ (e.g. UK and Western Australia). In many countries where ombudsman remit extend to promote and protect human rights, the Ombudsman is recognised as the National Human Rights Commission. In India, ombudsman is referred as LOKPAL or LOKAYUKTA. Central Legislation in India: The background of Ombudsman system in Central Legislation in India is far disappointing. (ii) LOKAYUKTA at State level. Pursuant to the same recommendation LOKPAL Bill was introduced in 1968 although it was passed in LOK SABHA but later due to dissolution of LOK SABHA it lapsed. Then the same Bill was re-introduced in 1971 but was never discussed in the house and hence failed. The Bill was re-introduced in following years of 1977, 1985 and 1996 but it met with the same fate. In 2001, when the Bill was introduced once again by National Democratic Front (NDA) there arose a controversy that whether Prime Minister should be brought in the purview of the LOKPAL Bill? While the Government allowed this controversy to generate heated discussions and debates as a result of which the Bill lapsed in 2004. Shortly stated, eight futile attempts and four decades later still the LOKPAL Bill has not been enacted. While the Central Government continued to struggle with the Ombudsman legislation several states in India took initiative in right direction and adopted the system of Ombudsman that proved to be highly effective. In 1970, Orissa was the first state to introduce LOKAYUKTA BILL. However, Maharashtra was the first state to establish the institution of LOKAYUKTA in 1972. Other states to join the league are Bihar (1974), U.P (1977), M.P (1981), Assam (1983), H.P (1983), Gujarat (1988), Kerala (1998), Punjab (1996), Haryana (2004), West Bengal (2003) and many others. The state of Kerala has an Ombudsman for Local Self Government institutions like Panchayats, Municipalities and Corporations. He/ She can enquire or investigate into allegations of action, inaction, corruption and maladministration. A retired Judge of the High Court is appointed by the Governor for a term of three years, and is governed under the Kerala Panchayat Raj Act. In the State of Rajasthan, the LOKAYUKTA institution was established after the Rajasthan LOKAYUKTA and UPA – LOKAYUKTA Act, 1973 was passed by the State Legislature. Appointment of a LOKPAL has failed at the central level even after so many attempts and by different Governments. 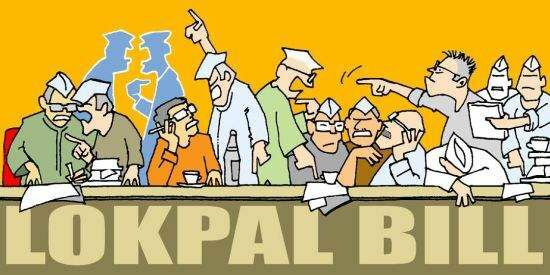 None of the people elected Government had been successful to appreciate the LOKPAL bill and thereby adopt the Ombudsman system in India, but the Government took initiative and patronized formation of CVC (Central Vigilance System), that has proved to effective and useful. After a judgement passed by Supreme Court CVC are empowered with wide range of powers. This legislation of the Central Government for such a Commission has been proved to be influential in the working of the Government and making people an important part in their working. CVC was set up by the Government of India in 1964 on the recommendation of the Committee of Prevention of Corruption. The Bill was successfully passed by both the houses of parliament in September 2003. CVC consist of Vigilance Commissioner is CVC’s Chairperson appointed by president for a term of 4 years. It has a jurisdiction that extends to all Central Government Departments and Central Government Companies etc. Its main function is to advise and guide the Central Government agencies in various matters. Its Power is extended to be the apex of the vigilance institution, monitoring all vigilance activity of central Government organisations and is free from all direct executive control. The most exuberant power of CVC is to investigate or inquire into any transaction in which any public servant is suspected to act in an improper or corrupt manner. Various cases and matters wherein given advices were ignored. The CVC shares with the citizen large amount of information related to corruption and maladministration. CVC website has published the names of officers against whom investigation is ordered or penalties are imposed. After a PIL filed by Mr. Vineet Narain that exposed the HAVAL SCAM had applied heavy pressure on CBI. In a judgment passed by the Supreme Court, CVC is now equipped with great amount of supervision over CBI and it also laid sixteen guidelines in respect of CVC‘s supervision towards CBI. § CVC is only an advisory body Central Government Departments are free to either accept or reject these advices. § It is a very small set up with strength of 299 and is supposed to restrain corruption in more than 1500 Central Government officers. § CVC cannot direct CBI to initiate inquiries against any officer and permission has to be obtained from the concerned department. § Appointments to CVC are indirectly under the control of Govt. of India. § CVC is relatively independent in its functioning, it has neither resources nor powers to inquire and take action on complaints of corruption. These restrictions over the power of CVC limits the independent investigation and resolving the complaints made against the corruption and maladministration by the executives and CVC often fails to exercise strict control over such maladministration. In 2011, India in an anti-corruption movement led by the social activist Anna Hazare included in his demand for stronger Ombudsman agency (jurisdiction all over the state institution) through enactment of JAN LOKPAL Bill as an alternative to the LOKPAL Bill proposed by the Government in 2010. In December, 2011 LOK SABHA had passed the Bill and it was referred to a Select Committee of the RAJYA SABHA, which was to submit its report. The Bill was kept on hold in RAJYA SABHA for close to two years till 2013. Eight times in the history of this republic, various Governments have tried to get the LOKPAL Bill enacted. But every Government from Indira Gandhi to that of Atal Bihari Vajpayee to Manmohan Singh was unsuccessful to install an all powerful ombudsman to probe graft cases against the high and the mighty in the country. It was possible only after around five decades in December 2013, people of India saw a ray of hope from the lethargic law making body, when the LOKPAL Bill, 2013, also referred to as The LOKPAL and LOKAYUKTAS Bill, 2013 was passed in the RAJYA SABHA on 17 December 2013 after making certain amendments to the earlier bill and in the LOK SABHA on 18 December 2013. The Bill received assent from President Pranab Mukherjee on 1 January 2014 and is enforced. After fighting for such a long span when India has got a centralized Ombudsman system in India, it will be worth noting what shall be the outcome of it, whether such a system will be an advantage in keeping a check on ever increasing corruption in the Indian Governmental bodies and giving people of India a sigh of relief with better governance!